What I am working on…. I have been a bit under the weather lately, but I have been up doing a few things. 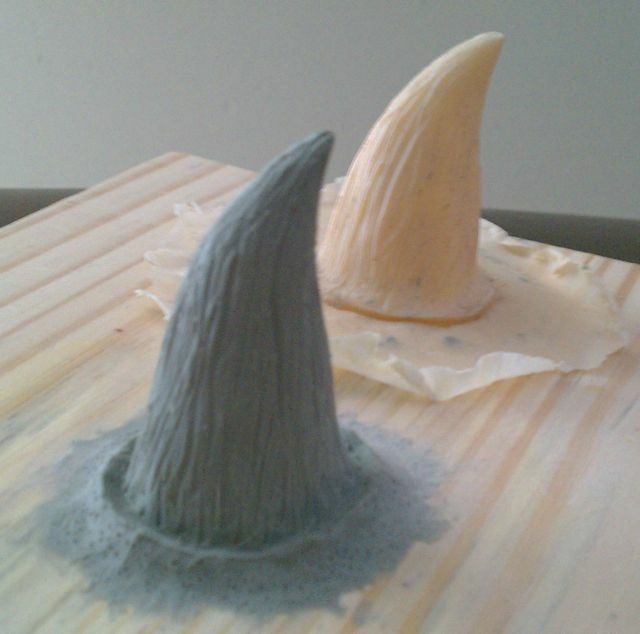 I am making horns and ear tips from scratch, for a music video parody. That’s all for now. 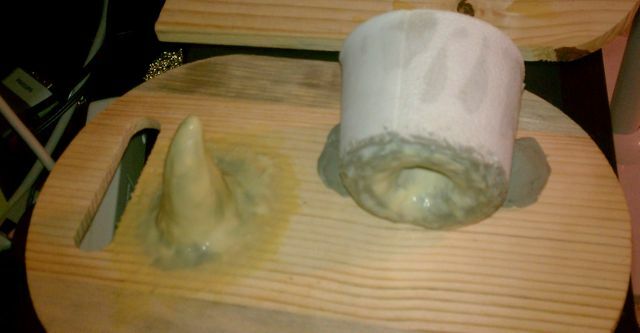 I have to go because I am due on set later today to apply the horns. I will have more pics tomorrow. 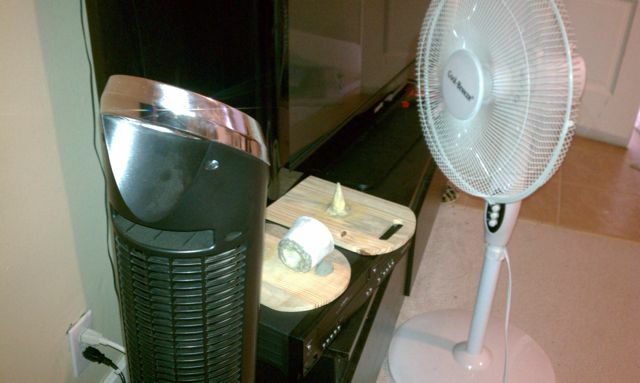 My jerry-rigged set up: two fans to speed up the drying process of latex horns. Please feel free to leave comments and let me know what you think. If you have a makeup or special fx website, I would love to hear about it. Awesome Shari! Can’t wait to see the final results! !